Quebec City is one of the largest cities of Canada. Its name originally came from Kébec, an Algonquin word meaning “where the river narrows”, because of the two rivers that are here, and actually narrowing as they go through the city. The city is mostly focused on commerce, tourism, defence and services, as well as manufacturing. Many prominent companies have their main or one of their most important headquarters here, including fashion retailers, engineering firms and even that of the computer games industry. Tourists come to the city very regularly, as the city is a top destination in Canada along with other major cities. We have collected the top 20 best things to do in Quebec City if you happen to wish to come here. Old Quebec is a historic neighbourhood of the city, which still keeps many of its old buildings in good condition, allowing visitors to see this charming part of the city. Some of the city’s most notable attractions are located in this neighborhood, so it’s a great starting location for your trip around the city. If you get tired of walking around and seeing the wonderful buildings, you can always try one of the cafés here. 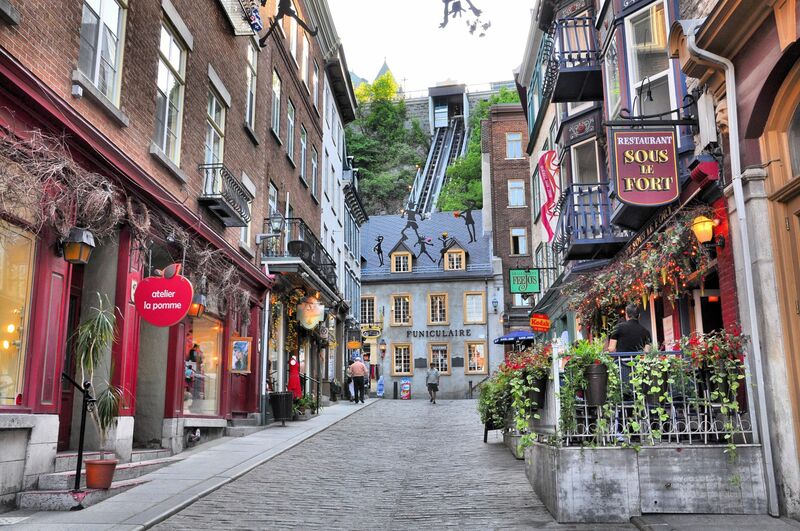 Coming to Old Quebec is definitely one of the best things to do in Quebec City. The Citadelle of Quebec is the largest British-built fortress in North America, and is actually still in use as a military base. Visitors are still welcome, and can go on guided tours around the fortress or see the museum that is full of historical and military artifacts. If you come at the right time, you can even see the changing of the guard ceremony, a popular attraction amongst both citizens and tourists. Battlefields Park is famous as the location of the Battle of the Plains of Abraham, the British victory over France, which decided the development of Canada. The park today is mostly the same as any normal park, but you can occasionally see things like cannons and other military equipment lying around. The park is great for having a picnic or just taking a break from the sightseeing. Petit Champlain is a part of Old Quebec, and famous for its beautiful and charming shops, as it is one of the oldest shopping districts in North America. Visitors can surely find something they like among the countless shops, including regular ones and souvenir shops. You can also climb the famous Breakneck Stairs, which are well-known for their steepness, hence the name. Place-Royale is widely considered to be the birthplace of the French colony and the French-American community. This part of Old Quebec served as the French colony’s center of business and industry. Just by walking around here and seeing the old markets, shops and houses allows you to learn more about the history of the neighborhood. The Cathedral-Basilica of Notre-Dame de Québec has stood on the same spot in the heart of Old Quebec since 1647, making it one of the oldest cathedrals in North America. While it may not be the most spectacular in terms of exterior design, it is still a beautiful cathedral, especially the interior. It’s a place that is worth seeing even if you are not religious. Montmorency Falls is a large waterfall on the Montmorency River in Quebec. It’s actually higher than Niagara Falls, which not many people know, making it very popular along those that do. It’s a beautiful place and the park around it is just as good. Hiking, biking and even zip-lining is available here, allowing you to see the region from different angles and places. Terrasse Dufferin offers spectacular views of the St. Lawrence River and Old Quebec. It was formerly a military fortification, and still houses many cannons and other military equipment and structures, which tourists can check out. It is now more of a park, and a very beautiful one at that with its excellent views of the city and the region. The Château Frontenac is located at the Terrasse Dufferin. It’s a magnificent grand hotel at the highest price. 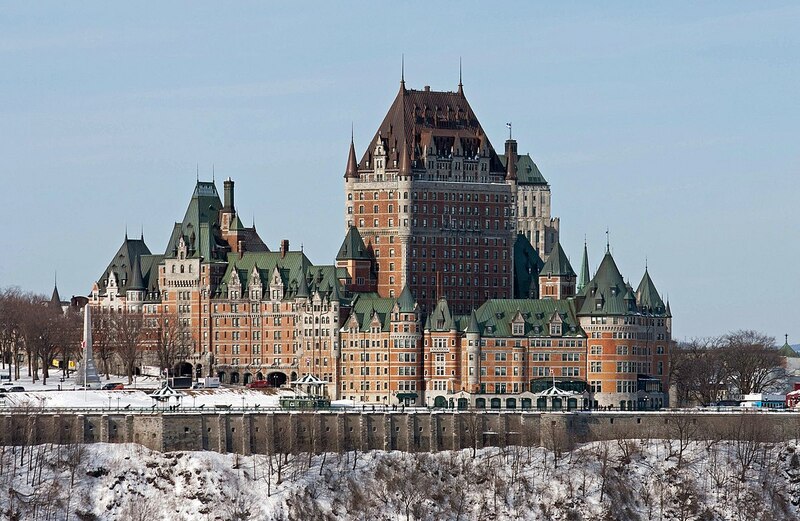 The hotel is generally recognized as the most photographed hotel in the world, largely for its prominence in the skyline of Quebec City, which is understandable, as it truly is one of a kind. While we wouldn’t necessarily advise staying here, coming here and seeing it upclose is a must-do among the things to do in Quebec City. The Basilica of Sainte-Anne-de-Beaupré is a spectacular basilica set along the Saint Lawrence River. According to a local legend, one of the basilica’s original builders began his work on crutches, and was able to walk without them upon the construction’s completion. Pilgrims and visitors often commemorate this miracle by leaving a crutch at the front door. Both the inside and the outside of the building is marvelous, to be sure to see it even if you are not religious. The Morrin Centre is a cultural centre designed to educate people about the historic contribution and present-day culture of local English-speakers. The centre has different parts and functions, but perhaps the most notable one is its beautiful library, but there are also historical artifacts lying around, and even old jail cells. The Musée de la civilisation explores the history of human society in Quebec and its surrounding region through interactive exhibitions. Not only there are art and artifacts, but exhibitions which aim to show the life of the people here through generations. It’s all about the cultural heritage here, so if you are interested in the life of this city, then don’t miss this place. 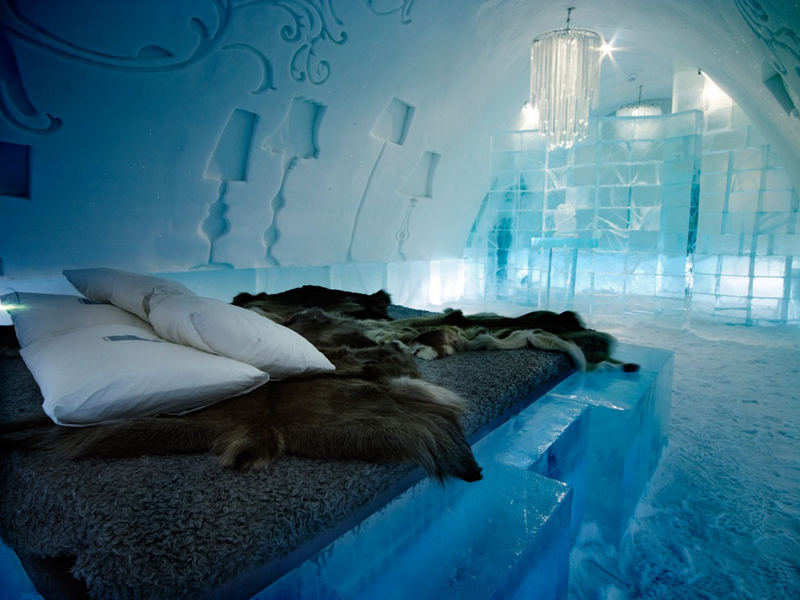 The Hôtel de Glace is not directly in Quebec, but an interesting place to see nevertheless, especially if you plan to explore the entire region anyway. This unqiue hotel disappears every spring, but then it’s rebuilt later the same year during one and a half month entirely from ice. Altogether, the hotel features 85 bedrooms along with a club, art gallery, and even a chapel that usually hosts a handful of weddings. It’s truly one of a kind, and worth seeing at least. 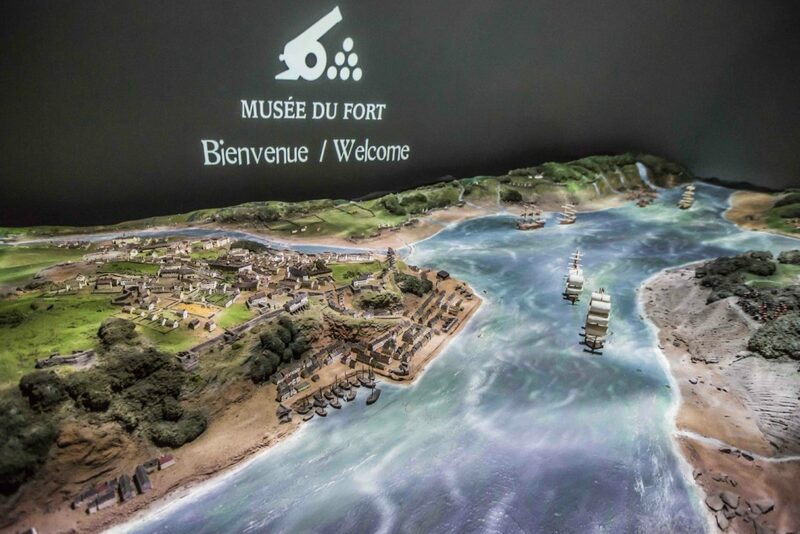 The Musée du fort offers an original sound and light show illustrating the 18th-century French resistance to Britain over Quebec. It’s a beautifully crafted model of the city as it was back then, including the famous fight that took place here. It’s a fun way to learn more about the history of the city. The Old Québec Funicular is more than a hundred years old and still works fine. 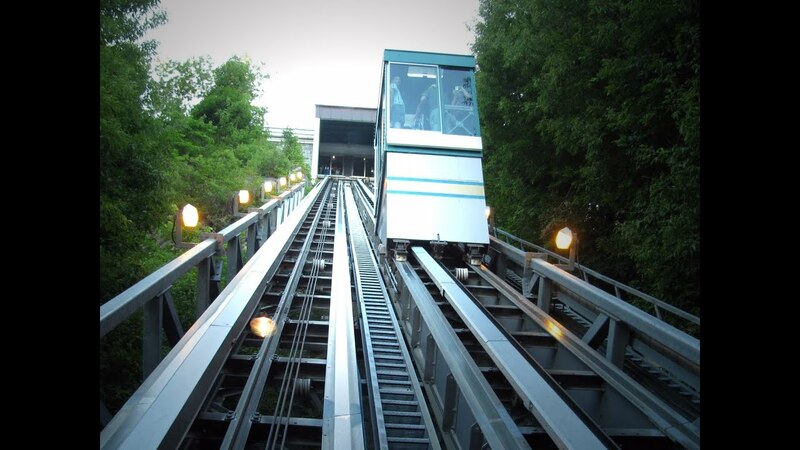 This steep cable railway is a popular attraction and landmark of the city, and even if it doesn’t bring you to a very high viewpoint, it is still a memorable experience, and gives you a great view of Old Quebec and its neighborhood. The Wolfe’s Cove Tunnel runs beneath Quebec City, in particular under the Belvedere Avenue and the Plains of Abraham. It was used more frequently back in the day by the trains for freight transportation, but trains still run through it a few times a week. People, especially younger people like to explore the tunnel for themselves, but we do not recommend it, as you can never know when a train will show up. The Parliament Building of Quebec was built in a beautiful Second Empire architectural style with countless statues surrounding it. The facade of the building presents a pantheon representing significant events and people of the history of Quebec. The Aquarium du Québec is a public aquarium and park. 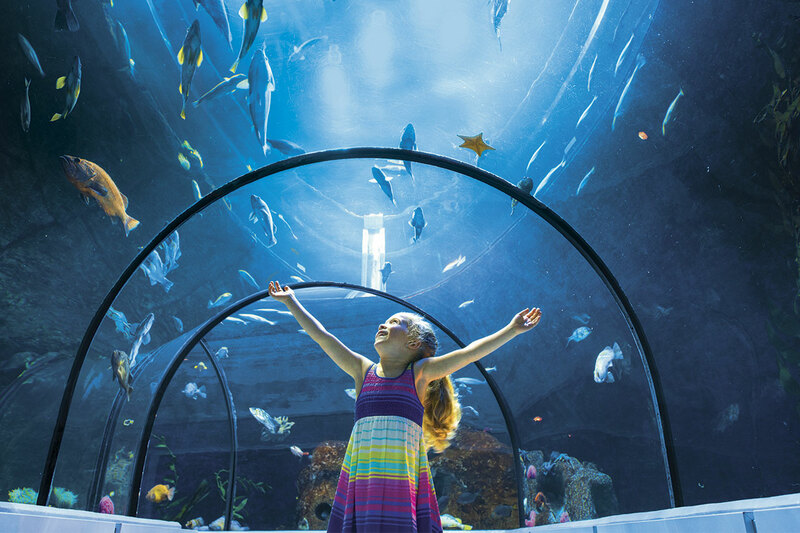 It’s home to more than 10 thousand animals representing more than 300 species, and features numerous indoor and outdoor exhibitions, which are fun and educational for both adults and children. The Méga Parc is a large indoor amusement park located in the Les Galeries de la Capitale shopping mall. It offers 19 attractions for the whole family, including a rollercoaster and a big skating rink. It’s open almost every day of the year, so there’s never a bad time to arrive. You can even go shopping or eat in a restaurants since it inside a mall after all. The Gare du Palais is the main trainstation of Quebec City, and a very unique and beautiful one at that. The two-storey châteauesque station is similar in design to the Château Frontenac, both looking like old magnificent castles, or buildings related to those. Even if you don’t plan on using its train services, it’s worth visiting for its beauty.